As per the reports of The Wall Street Journal iPhone 8 will feature a curved OLED display supplied by Samsung. Nikkei Asian Review adds that Samsung will be the sole provider of these curved displays for the new iPhone models. As for recent reports suggesting the OLED displays on new iPhones could be flat and not curved. 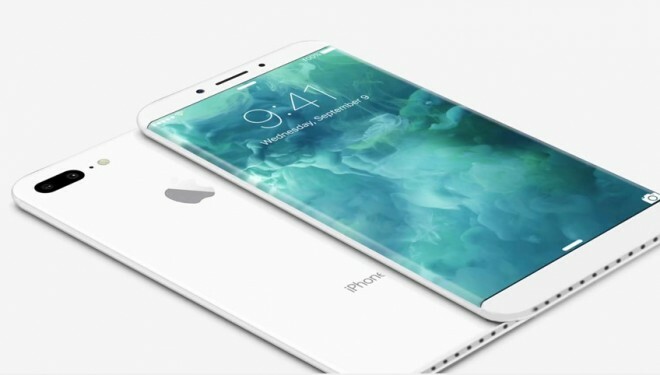 With an edge-to-edge design, the iPhone 8 is said to be similar in size to the 4.7-inch iPhone, but with a display the size of the 5.5-inch iPhone. According to Ming-Chi Kuo, it will feature a 5.8-inch display with 5.15 inches of usable area, with the rest dedicated to virtual buttons that will replace the existing Home button. The iPhone 8’s front-facing camera may also include 3D sensing capabilities, allowing it to find the location and depth of objects in front of it, perhaps enabling facial and iris recognition. Apple has yet to ditch LCDs in favor of OLED technology for its iPhones, even as competitors such as Samsung and Xiaomi have done so. Of course, the release of an iPhone 8 with an OLED screen will depend largely on production yield rates. OLED displays don’t need a backlight, it’s one less layer to fit into the iPhone’s already tightly packed design. That means Apple could make the iPhone 8 thinner and lighter than the iPhone 7. The WSJ source also claims that the new iPhone will drop the Lightning connector, used to connect the device to its charger and headphone accessories, in favor of a USB-C port. According to KGI Securities analyst Ming Chi Kuo, In his latest investor note, he claims that that the iPhone 8 will affect the sales of the Samsung Galaxy S8, which does not have “sufficiently attractive selling points”. He says Samsung is expected to ship about 40 to 45 million units of the Galaxy S8 in 2017, less than the Galaxy S7, which in part is attributable to the one-month difference in sale period. Next Article What does the iPhone 8 need to defeat the Galaxy S8?